The Mount Pleasant RV Resort and Campground provides a wonderful outdoor experience in Mount Pleasant, Michigan. This Outdoor Adventures campground sits in a peaceful natural setting and is located conveniently so you can take advantage of the many attractions that the city of Mount Pleasant has to offer. With parks from Outdoor Adventures,you can enjoy outdoor fun and activities with your family, while still having access to some of the best amenities and attractions in the area. The team at Outdoor Adventures takes pride knowing that our resorts have become a regular tradition for so many family vacations in Michigan.Interested in planning a trip? Continue reading to learn more about what you will find at this RV park and campground. The Mount Pleasant RV Resort and Campground is in an ideal location for people who are looking to visit the area. Guests find the park tucked away in natural woodlands at 340 North Loomis Road in Mount Pleasant Michigan. Once you are at the park, you can simply set up your camp and then decide what you want to do from there. In the city of Mount Pleasant, you have a number of great parks, nature trails, museums, the Soaring Eagle Casino, shopping, dining, golf courses, and local entertainment. Within the resort, you can fish, swim, kayak, paddle board, catch a movie, shoot some hoops, and more! When RV owners come to our Mount Pleasant location, they will find a park that is well equipped to provide a first-rate RV vacation experience. The park has sites that can accommodate almost any size of RV, and most of those sites are full hookup with water, sewer, and electric service. You can even store your RV at the resort year-round you’d like. As if you needed more reason to come for a visit, RV owners that have never been to an Outdoor Adventures location, are eligible for a free RV vacation! To give RV owners a chance to get to know the experience we provide at Outdoor Adventures, we offer a free stay of 3-day and 2-nights. 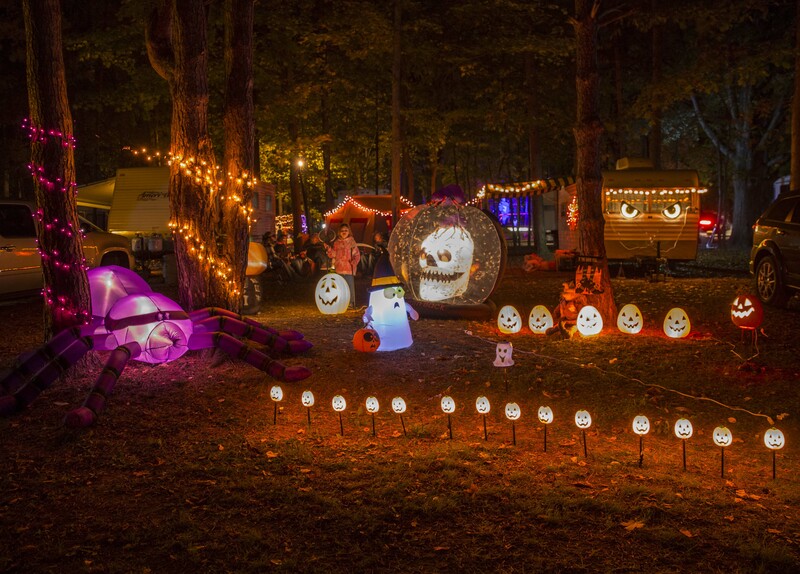 Once you have spent a few days at one of our RV parks in Michigan, we hope you will keep coming back. Whether or not you have an RV, Outdoor Adventures Mount Pleasant Resort will mean a worthwhile vacation for you! With over 80 campsites and new, large rental cabins, we can accommodate your group of family and friends. You’ll make memories that will last forever! The Mount Pleasant RV Park and Campground rests in pristine natural lands that can be perfect for relaxing and engaging in outdoor activities. To learn more about this Outdoor Adventures location, you can visit our Mount Pleasant Google+ page or go to our website to see a full overview of the resort. Outdoor Adventures Mount Pleasant Resort is more than just a campground. We also offer amenities that are perfect for vacations with families and friends. What do we provide? You will find an outdoor heated pool, two onsite ponds, catch and release fishing, a general store, laundry facilities, a playground, a game room, and much more. This way you get it all. Soak up the outdoors but also enjoy some conveniences and entertainment. If you want more information about what is available at our Mount Pleasant location, you can call us or contact us through the website. On the other hand, to come and see things for yourself, you can also arrange a tour. We would be happy to show you around and also have a promotion running where you can sign up for the free truck giveaway and get a chance to win a truck or cash when you take out tour. You have nothing to lose! 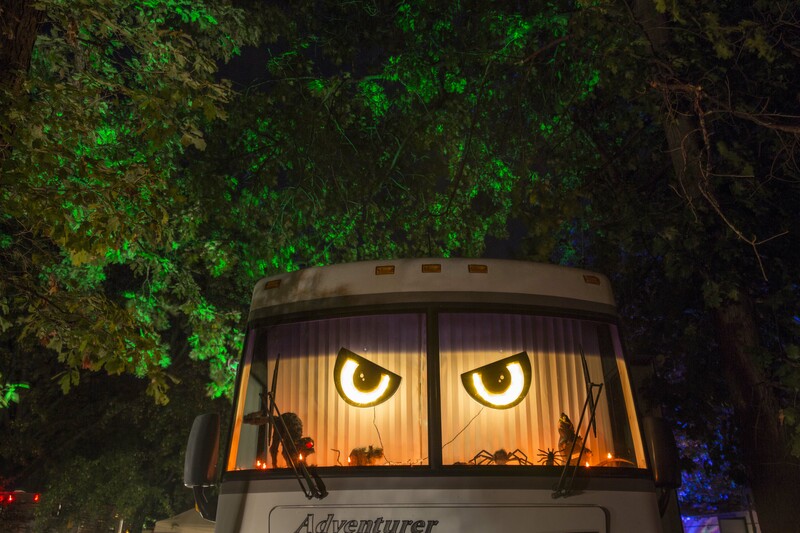 Outdoor Adventures has become the top provider RV Parks and Campgrounds in Michigan because we know the importance of customer satisfaction and make it a priority. As a result, families have been enjoying our resorts for more than two decades. For many, trips to Outdoor Adventures campgrounds have become a tradition that they look forward to all year. At Outdoor Adventures, we’re dedicated to providing families with a setting where they can spend time and have fun. If you want to know more about the Lake of the North Outdoor Adventures RV park, check us out on our Google+ page. We hope to see you at the resort soon! How do we ensure our customers are satisfied? We are always listening for feedback. With many satisfied customers, we are honored to receive customer reviews and testimonials about how trips to our parks have provided great family experiences. This lets us know we are doing our job right. We are also thankful for the reviews that share with us how we can improve as we know there is always room for improvement. We hope you will come to experience all we have to offer at our Mount Pleasant RV Resort and Campground location. With locations all over the state of Michigan, you can find a different experience by visiting our many parks. Our campground in Mount Pleasant is a nice place for families and friends to engage in a first rate camping experience, and it can be great for people that want to spend time in a city that has much to offer. Ready to come for a visit? Contact us today to make your reservation. We look forward to seeing you soon!